6 Menswear Trailblazers to get on your radar! As Men's fashion week in Paris wraps, and we prepare for (womenswear) fashion month to start all over again, I've been thinking a lot about personal style and of course street-style. With the exception of runway shows (and their forward styling), I'd be hard pressed to think of where I've ever gotten some real outfit inspiration. Mannequins in shop windows don't really do it for me either! It wasn't until recently, that I began to think of who had actually influenced me in terms of "what" to wear. A dear friend and fellow blogger Justine eloquently (and surprisingly!) called me a trailblazer recently and this set the wheels in motion. For starters, I was blown away by this high praise from entrepreneurial queen Jetset Justine, I've admired her cutting edge for years. This coming from a woman who once showed up to fashion week in a super chic snowsuit! Apres-ski and avant- chic! In a sea of all-black and frayed denim she consistently stands out - but who was representing for the boys? And who was inspiring me? Men's runway fashion has become increasingly diverse over the years and yet where was all the uniqueness in it's loyal followers? First on my list is Pelayo Diaz of KatelovesMe... I've been following him since the inception of his blog in 2007! A real trailblazer, Pelayo moved to London to attend CSM years ago and started a blog to keep his friends at home up to date with his adventures. (Sound familiar?) He's got a penchant for Prada, McQueen and Givenchy and has since added designer, DJ and author to his ever-growing multi-hyphenate moniker. I remember once he was wearing a bandana printed flannel shirt (from Uniqlo) with a denim on denim look. I went online immediately and purchased the same shirt (long before Uniqlo was available in Canada). Import duties aside, I still cherish the shirt and feel inspired to think of innovative ways to style it, whenever I put it on. One of the only non-bloggers, and only person on this list I actually know IRL! 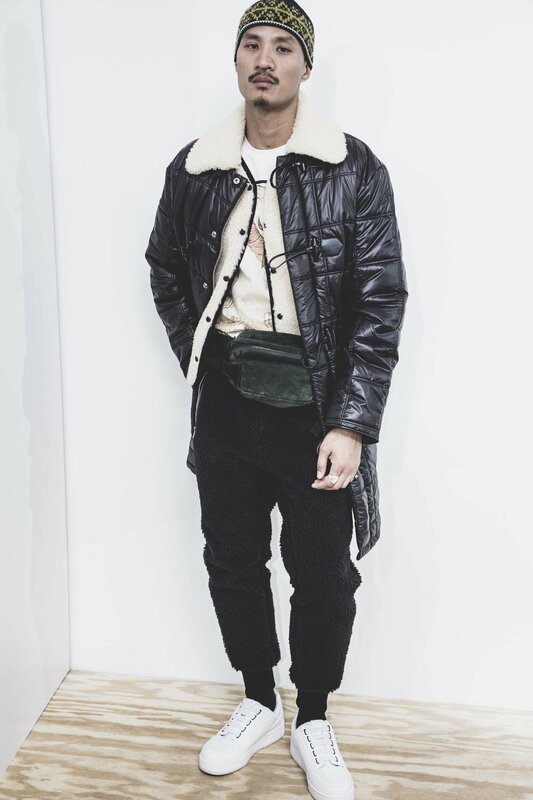 As a fellow Canadian, Paolo has been on my style moodboard for quite some time and just last year his personal style even got some love from Vogue as seen here. From spottings along Queen st to Toronto fashion events, he has always stood out to me for his one-of-a-kind style. Imagine my surprise (read: Fangirl Moment!) when I opened the recent 3.1 Phillip Lim lookbook to discover that he had played muse, model and stylist. Paolo melds his uniform of rings and brooches, boiler suits and vintage prints with heavy duty boots and army surplus wear for a consistent look that is boundary-pushing yet always masculine. Fashion week staple and editorial director for MR PORTER, Andrew Barker has access to some of the best brands in the business. 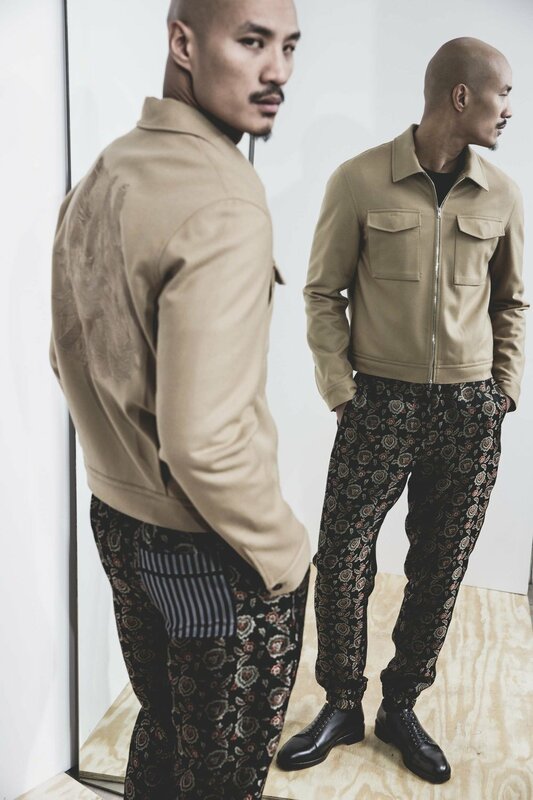 Combining easy seperates, relaxed cuts and traditional English gentleman style, his looks are lesson in quiet luxury. Amidst a sea of heavily logoed revellers and OTT fashion folk, he stands out for his attention to detail and personal style that is, well, personal! Pictured below in Milan for Fashion week, peep the ripped denim that whispers authentic fraying, the relaxed coat and supple leather of the all-important portfolio. Next up on my personal list of Style icons, is Anthony of "Oh Anthonio". He's got a knack for elevating the simplest of pieces by seeking out relaxed cuts, playing with texture and unexpected colour combos. One time he was wearing this super chic, neoprene trenchcoat... it could have been Lanvin or Bottega but when I commented on instagram to ask, he told me it was from Zara and that I should run before it's gone. So what did I do? head for my nearest Zara, only to find it was gone.. But that folks is what style blogging is all about, creating desire. Who would of thought a Zara jacket could be considered "aspirational'?. 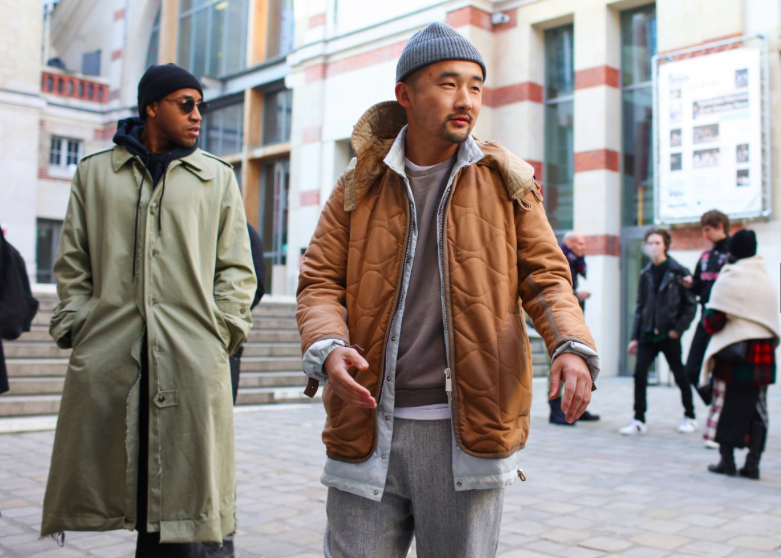 He's pictured here in a Robert Geller trench with zip-off sleeves,(which is currently on sale here!) yet another piece to add to my wishlist! I can't remember how or when Kurt first appeared on my timeline, all I know is that since discovering his Blogger's Boyfriend Instagram (and subsequent Pinterest and interior decor pages) I've been hooked! It's nice to find someone who shares my love of the H&M studio line, and who's personal style is so versatile! From double-breasted suits to head-to-toe pink street style moments, Kurt has really mastered them all. Even his more directional looks (whether it's buying things in XXL or tying a topcoat around his waist for maximum effect) have inspired me to take more style risks. I've definitely experimented with jumpers and bombers in bigger sizes, but I couldn't quite land the overcoat tied around my waist. I guess some things are better left for the pros! A new addition to my style round-up, is ASOS' Jovel Roystan. Both he and ASOS came onto my radar this summer after I was invited to their summer style event. I was admittedly not too familiar with the fast-fashion giant, but since I've got on board there's been no looking back. Whenever I'm tasked with picking out new ASOS pieces, I'll often look to Jovel's #AsSeenOnMe Instagram for some inspo. Jovel has really mastered tonal dressing, and always comes across polished even in the most grunge streetstyle or workwear looks. Bonus points for being an early adopter of pink and blush tones! Who are some of your favourite menswear trailblazers?